The Cactus League is about to wrap up, and that means Opening Day is right around the corner! If you’re a die-hard baseball fan—no matter if you root for the Diamondbacks or any other club who participates in the Cactus League—we hope you were able to make it out to the ballpark and catch some Spring Training action in Surprise! Every spring, teams that participate in the Cactus League here in Arizona (and the Grapefruit League out in Florida) use the opportunity to determine who starts in the big league and which players need more time in the minors. Sometimes, clubs use their preseason to sort out positional battles, like who is going to start at second base or what does the pitching rotation actually look like this year. 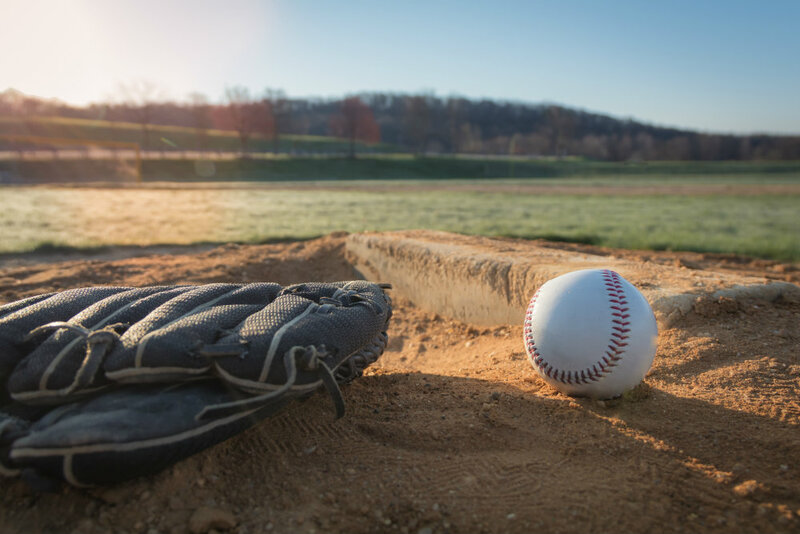 In honor of this “unofficial holiday” (although, there are always petitions to make it a national holiday) we are going to discuss baseball foot and ankle injuries, including ways you can reduce the risk of them happening. For various reasons, baseball still holds the title of “America’s pastime.” Sure, NFL viewership had been steadily climbing until last season, the NBA has an abundance of young and talented players, and the NHL is definitely still around – but baseball enjoys several advantages over those other sports. One such advantage is its rich history. Founded in 1869, the MLB has been around longer than the other professional leagues, and by a good margin. Another is the unique experiences offered at every major league stadium. Of course, not all baseball happens at the big-league level! Baseball and softball are played by millions of people across the country. Ballplayers have a certain degree of risk for foot and ankle injuries, but this is the case with any physical activity. Perhaps the biggest advantage of baseball--and this is something shared with softball—is that it’s a sport so many people of all ages and backgrounds can (and do!) participate in. This summer, as with any other one, countless adults across the nation will play in rec softball leagues, while their children take to the field for their little league teams. Younger ones get introduced to the sport via t-ball or “coach pitch” softball leagues. No matter who in your family is playing, we have some baseball injury prevention tips we want to share to keep it as an enjoyable experience as possible. Baseball and softball can be a lot of fun, but—as with any sport or physical activity—they do have an inherent risk of injury. Some of the more common lower limb injuries in these particular sports include sprains, shin splints, fractures, and heel pain. Bone fractures are a potential result of physical trauma, such as a hard-hit ball striking a foot. Fortunately, this tends to be a rarer occurrence in baseball and softball than one might expect, but it does happen. Ankle sprains are simply a common injury for most sports. It’s easy to twist a foot when running to field a ball or as you step on or slide into a base. Shin splints are also fairly common for sports featuring running – and particularly if the muscles running along the lower leg bones are tight. If heel pain is strongest during and immediately following athletic activity—and experienced in the back of the heel—you probably have Achilles tendinitis. If your heel pain is strongest in the morning and felt on the bottom of your rearfoot, the likely diagnosis is plantar fasciitis. If it is your child or teen who has heel pain during or after a game (or practice), Sever’s disease is the most likely explanation. There are two sources of good news in regard to these injuries – they are often successfully treated with nonsurgical care and, even better, injury prevention measures can reduce the risk of them happening in the first place! Ease into the sport. If you are older than 40 years old—and especially if you are diabetic, smoke regularly, and have a physical disability—be sure to see your primary care physician to identify any potential health risks. Further, if you have existing foot problems, come to Fixing Feet Institute for a gait analysis and professional recommendations. Wear the right shoes. When playing a sport like baseball or softball (or soccer), running shoes are not enough. Whereas a decent pair of running shoes offers ample support and cushioning, athletes in these sports need cleated footwear. With that being the case, youth should not be wearing shoes featuring steel spikes – molded cleats are the way to go. Warm up and stretch. As with any sporting activity, it is imperative you prepare your body for intense physical exertion. Take time for jogging or lite running, stretch your lower (and upper) limbs, and play catch a bit before the game. Wear shoes that fit. Shoe fit is an important health and safety concern for any sport. Yes, it is imperative to wear activity-appropriate footwear, but fit makes a big difference. In this case, you need to especially be aware of the fact that cleated shoes more often squash toes together in the front. As much as possible, there needs to be a bit more room in the toe box area. At the same time, the longest toe should be roughly a thumb’s width (and no more) from the front of the shoe. When laced, the heel needs to be comfortably cradled, and the foot unable to easily slide around inside. Use proper sliding techniques. It can be exciting to try and beat a “tag out” by sliding into the base or across home plate, but make sure you child listens to coaches when they instruct the correct way to do so. If you are playing in a rec league and have never been coached in proper technique, take some time to watch videos and read information on how to slide in a safe manner. Follow doctor’s orders. In the event you do sustain a foot or ankle injury and come in for professional treatment, make sure you follow our treatment plan carefully. Far too often, people start to feel better – but they aren’t completely healed. When they return to physical activities too quickly, there is a heightened risk of reinjury. You can avoid this by simply adhering to our plan. In the end, doing so will actually help you recover more quickly. These baseball injury prevention tips can lower your risk of getting hurt while on the diamond, but completely eliminating all injury risk is virtually impossible. If you injure an ankle or foot while playing ball, our staff at Fixing Feet Institute is waiting in the bullpen to provide relief! You can always find the care you need for foot and ankle injuries at our Surprise, AZ office, so give us a call at (623) 584-5556 or request an appointment online today.